As Ebola Cases Rise In Uganda, Health Workers Seek To Contain Virus : Shots - Health News Since the World Health Organization reported an Ebola outbreak in Uganda on Saturday, the number of cases has risen to 36 from 20. The cases remain limited to a small area in western Uganda. An international team is on the scene to identify the source and contain the outbreak. The number of Ebola cases in Uganda has increased during the past few days, a spokesman from the World Health Organization tells Shots. But the outbreak is still limited to a small region. "Accumulatively to date, there are 36 suspected or confirmed cases," WHO's Gregory Hartl says. "All cases are in the Kibaale district," a rural region west of Uganda's capital, Kampala. Laboratory tests, conducted by the Uganda Virus Research Institute and the U.S. Centers for Disease Control and Prevention, have confirmed the Ebola infection in five people. The specific strain of the virus is Ebola Sudan, which has caused five outbreaks in Africa since 1976, including one in Uganda that killed 224 people in 2000. 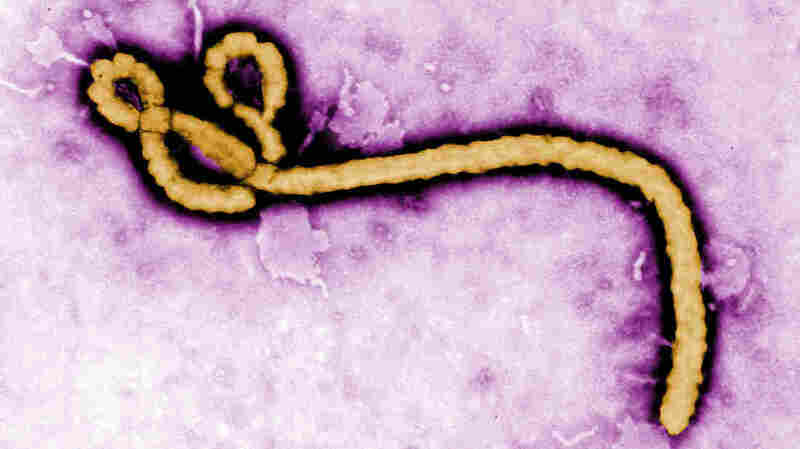 Ebola Sudan typically kills about 50 percent of people infected. A team, led by the CDC, WHO and Uganda's Ministry of Health, are now on the scene to determine the scope of the outbreak and then control it. This involves a strategy known as contact tracing. "You take every patient who is infected or suspected of infection and ask who they've been in contact with," Hartl explains. "Then you go find those people and do the same." All people in contact with the virus must be isolated and watched for 21 days, CDC spokesman Tom Skinner says. "Only once you've gone through two 21-day periods can you be sure that the outbreak is over." This is a massive undertaking, but it's one of the only options for stopping a deadly virus that has no cure or vaccine. The current Ebola outbreak first appeared at Ugandan clinics in early July. But it was initially confused with cholera. Doctors didn't suspect Ebola until tests for cholera came back negative and a clinician got sick. "In Ebola outbreaks, health care workers often get infected because you touch somebody and can get the virus," Hartl says. Despite this ease of transmission, he says, Ebola rarely spreads outside a small geographic region. One infected person traveled to a hospital in Kampala, triggering reports that the Ebola outbreak had spread to the capital city. But Hartl says there are no signs that people in Kampala have been infected.